This website exists as a means of communication to our plotholders as a more up to date method than pinning up notices on the boards. Obviously we don't mind who visits and hope you find the site informative. Maybe you are interested in becoming a plotholder? Edinburgh Council are your first contact to get onto our waiting list, which is sadly about nine years. 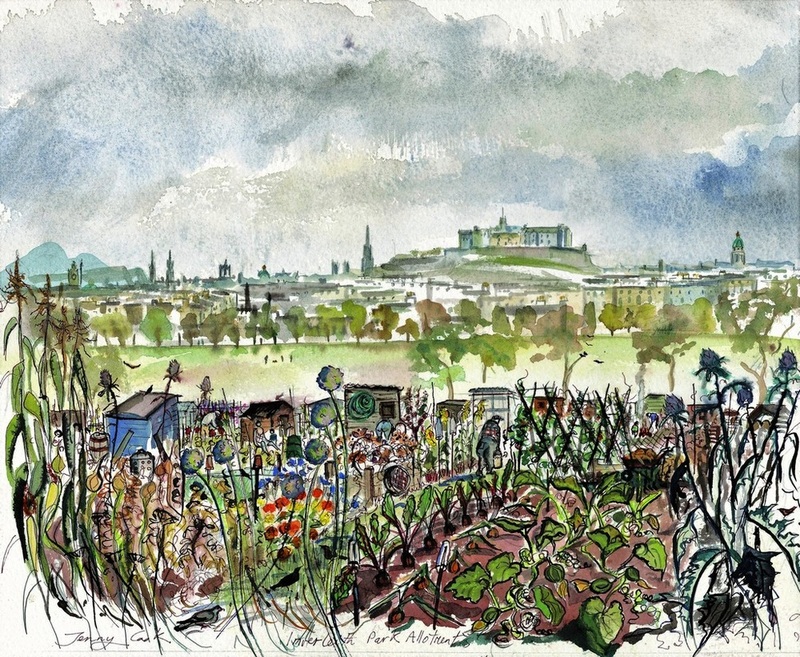 Having got your plot - we all speak from experience of the daunting prospect an allotment is when you first visit it. Remember - 'little and often'. Break in the plot and yourself in gently, you've plenty of time to get a sore back. Please leave your email address and we will include you in our regular newsletters to keep you informed with news of events, developments on the site and really; anything you ought to know. It's our Centenary! The site was originally created in 1918 to grow food for the war effort and for returning servicemen to feed their families. A booklet has been produced and if you'll like to see an online version - just click here. This will open up in a new window as a PDF.